Sandwiches don’t have to be boring or bland. Tasty and creative sandwich combinations abound; you only have to be willing to put down the peanut butter and jelly. 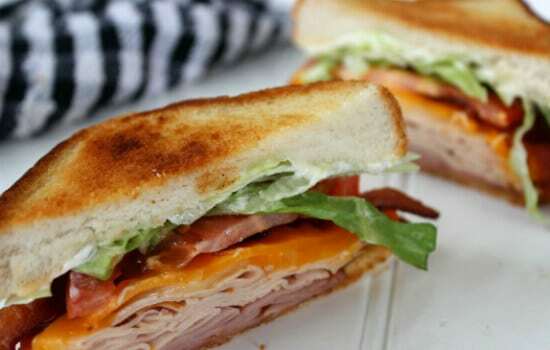 In this list of the best sandwich recipes, we detail 20 delicious sandwich recipes that you will be able to choose from. Some of the recipes are classic, well-executed sandwiches, while others are fun and inventive. Many of the sandwiches can also easily be prepared ahead of time, making them the perfect food for parties or busy families. After you finish with this list, visit our lists of the best grilling recipes and best dessert recipes for even more food inspiration. 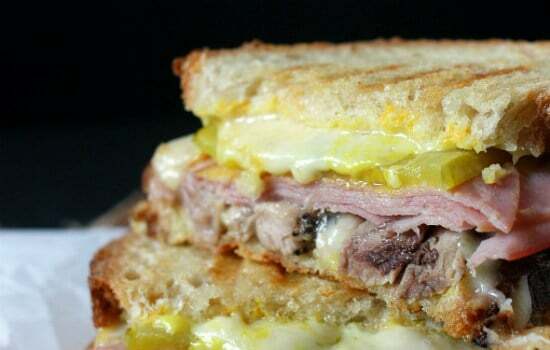 Cooked low and slow, this Cuban sandwich is both delicious and straightforward. The included crispy roast pork recipe makes the sandwich, and the ham, pickles, Swiss cheese, and yellow mustard only enhance the pork’s flavor. The crispy roast pork can also be used in a variety of applications, so make a lot, and use it for sandwiches and more. This classic party sandwich is a breeze to make and will satisfy even the most discerning of party goers. These King’s Hawaiian Roll ham sandwiches also freeze well. This makes them an excellent option for when you need to be able to prepare a dish ahead of time. 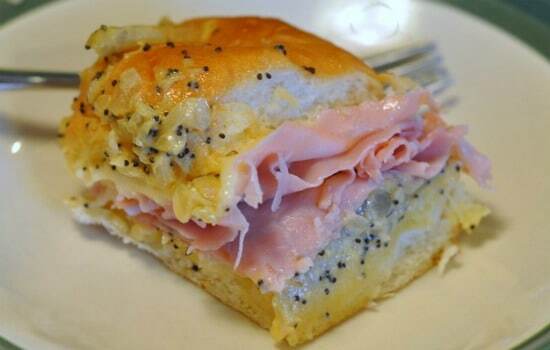 In addition to Hawaiian rolls and ham, be sure to have butter, onion, poppy seeds, Dijon mustard, and Worcestershire sauce on hand when you make these delicious sandwiches. Perfect for breakfast, lunch, or dinner this sweet sandwich is comfort food at its finest. 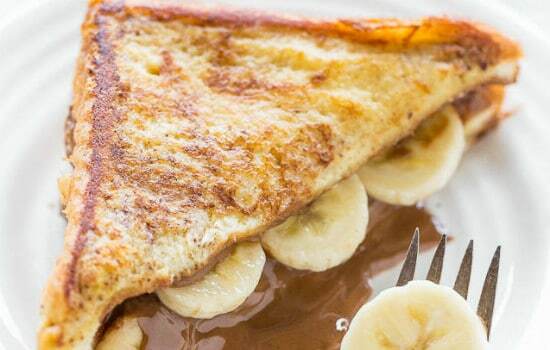 Sandwiched between slightly crisp French toast, the decadent chocolate peanut butter and bananas will have you calling for seconds (and thirds!). For a twist on the typical peanut butter based sandwich, give this one a try! These easy French dip sandwiches are perfect for busy weeknights. 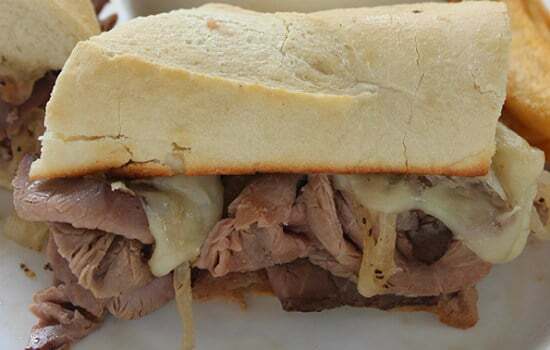 The au jus has just the right consistency and flavor and is ideal for dipping. Also, store bought deli roast beef is going to allow you to whip up this sandwich in no time. So give this sandwich recipe a try next time you are low on time. Spicy jalapeno poppers and a traditional turkey sandwich come together perfectly with this recipe. 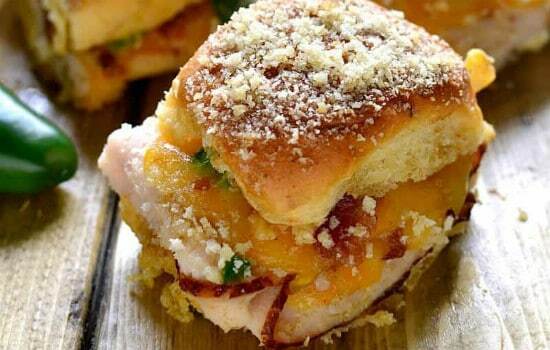 You are going to start by filling the rolls with cream cheese, turkey, cheese, bacon, and jalapenos. After that, you are going to top them with melted butter and panko breadcrumbs before baking them. The result is a sandwich that is popping with flavor. If you are trying to cut back on your meat intake, or just love vegetables, this is the sandwich for you. Start with seeded wheat bread and your choice of spread (we recommend aioli). After that, you are going to add cheese, avocado, cucumber, tomato, and sprouts. 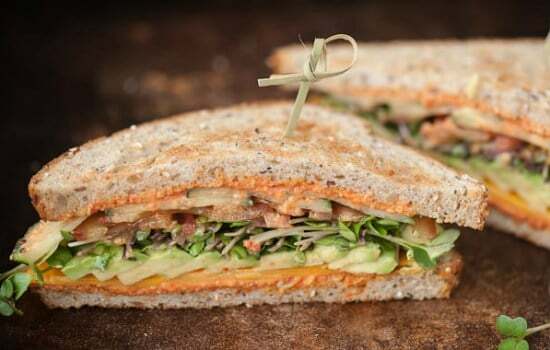 Finally, a sandwich that is as tasty as it is healthy! Why eat out when you can recreate the same for cheaper? 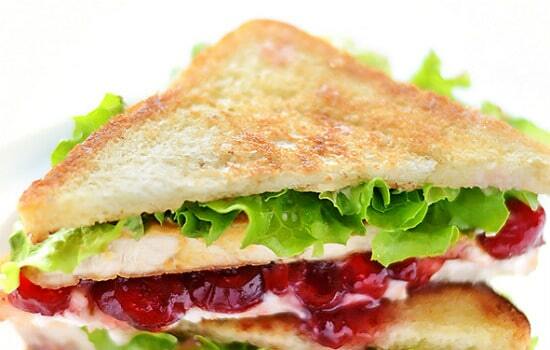 This copycat Applebee’s clubhouse grille sandwich is super simple to make. Warm lunchmeat, bacon, and BBQ sauce elevate this sandwich to one that you are sure to have on the repeat list. This sandwich also goes well with a tasty soup. A favorite with kids (and those young at heart), this slow cooker chicken bacon ranch sandwich is an excellent crock pot dish. Cream cheese, bacon, and ranch dressing mix smother the chicken which is then cooked on low for 6-8 hours. 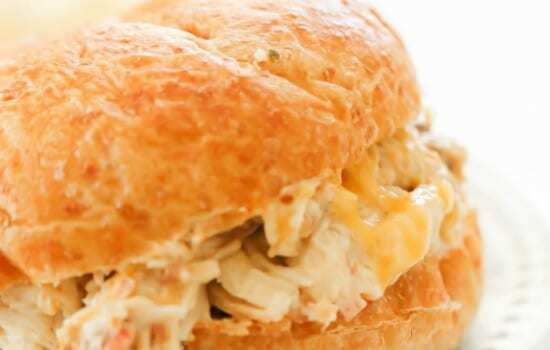 Once finished in the crock pot, just shred the chicken mixture and enjoy on your choice of bread. Freshly baked garlic knots are going to make up the tasty base for this sandwich. On the inside of the sandwich, a delicious chicken parmesan steals the show. This sandwich will be a hit with friends, family, and anyone else who tries it. While a bit more work goes into making this sandwich, the crispy, breaded chicken and the buttery, garlicky bread hit all the right notes. Make this sandwich next time you are craving something with garlic. Pickle lovers, this is your sandwich. 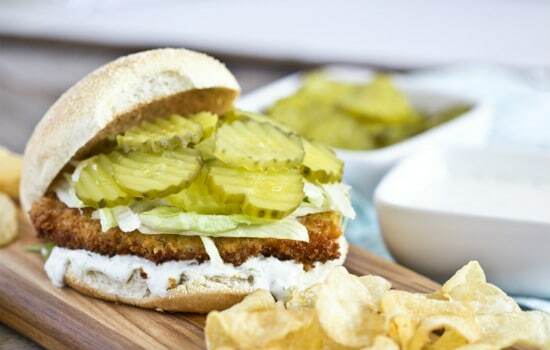 Piled high with lettuce and dill pickles, the Panko breaded chicken in this sandwich can be either baked or fried. Add in the creamy Greek yogurt ranch sauce, and you have a relatively healthy chicken sandwich that is perfect for lunch or dinner. 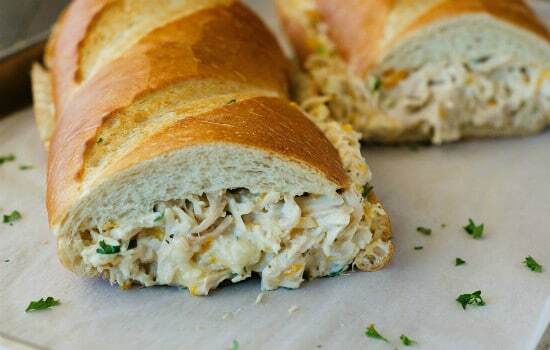 This chicken stuffed French bread sandwich makes for a great family meal. Loaded with shredded chicken, ranch dressing, green onion, and lots of cheese, it is everything that you could ask for in a sandwich. After cooking and shredding the chicken, this sandwich is simple to make as well. Just slice a loaf of French bread in half lengthwise and spread on the chicken mixture. After a quick 10 minute bake in the oven, the crowd-sized sandwich is ready to eat! 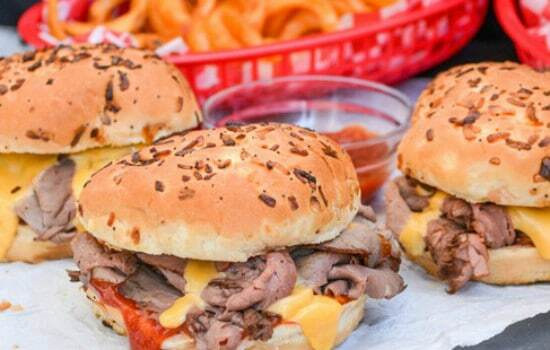 Another great copycat recipe, this recipe is an Arby’s Beef N’ Cheddar knockoff. Fluffy onion buns with a homemade sauce (or ready-made Catalina dressing), thinly sliced roast beef, and of course cheese sauce round out the ingredients for this much-loved sandwich. You may even like this homemade version better than the original! 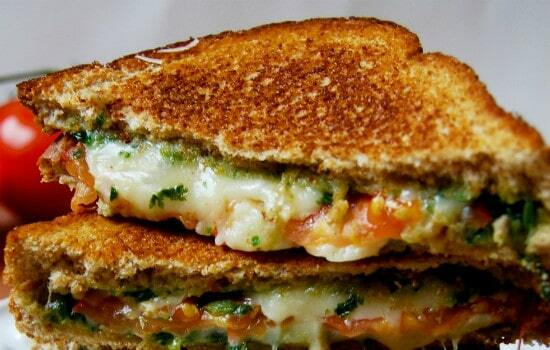 Inexpensive, easy to make, quick, warm, and delicious – grilled cheese sandwiches are popular for a good reason. In this recipe, the classic grilled cheese is kicked up a notch with the addition of a homemade basil spinach pesto. Make a big jar of the pesto though, because it won’t be long before you are craving another one of these sandwiches. 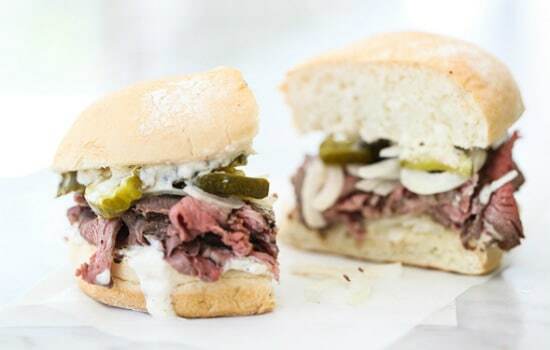 This sirloin steak sandwich with horseradish sauce recipe is exceptional. The meat is tender but has a nice crust, and the horseradish sauce with the crunchy sweet onions makes each bite better than the next. 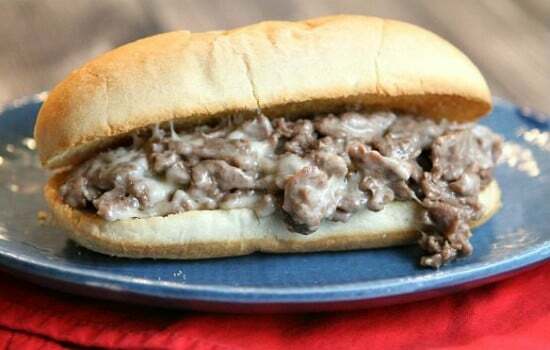 And, if you have leftover meat, you could easily make French dip sandwiches or any other dish that calls for steak. Panera is well known for having tasty sandwiches, especially their tuna salad sandwich. Thankfully, with this copycat recipe, you can enjoy a very close replica without ever leaving your home. The ‘secret’ ingredients for this sandwich are Dijon mustard and honey wheat bread. 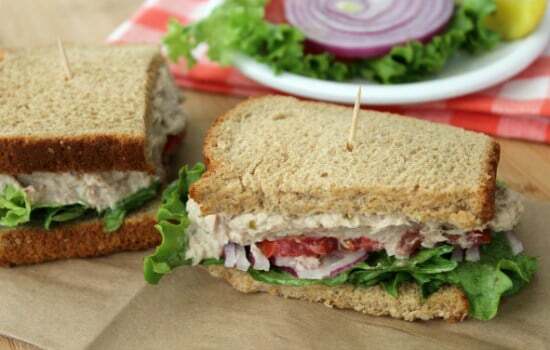 If you love a good tuna salad sandwich, this recipe is for you. 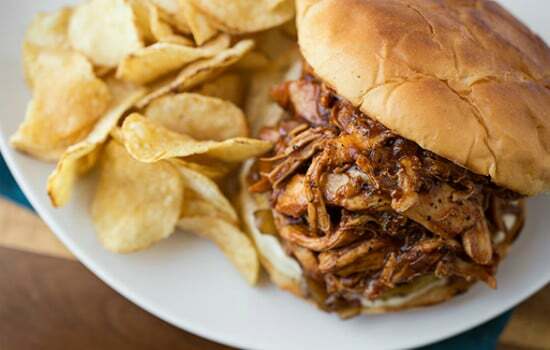 Sweet, spicy, and smoky, this Hawaiian BBQ pulled chicken sandwich recipe is full of flavor. To make this recipe even easier, you can use Rotisserie chicken as well. The addition of garlic, BBQ sauce, pineapple juice, and sweet onions will ensure that this sandwich is anything but run of the mill. Great for breakfast, lunch, or dinner, this Monte Cristo sandwich is perfect for any time of the day. 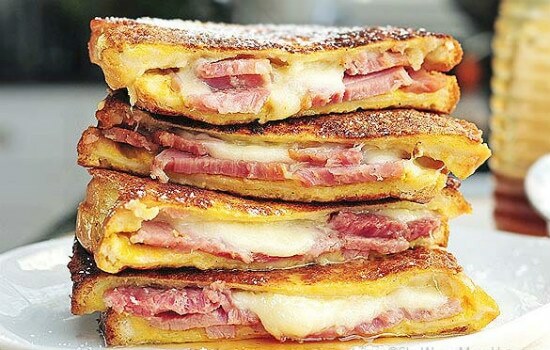 Made of ham and cheese with a bit of mustard and mayo, the Monte Cristo is then dipped in egg and cooked like French toast. For a nice sweet and savory combination, try serving the Monte Cristo with preserves or powdered sugar. This cheese steak sandwich is going to have you thinking you are in Philadelphia without good it tastes. Skirt steak, cheese, and optional sautéed peppers and onions round out the sandwich’s insides. 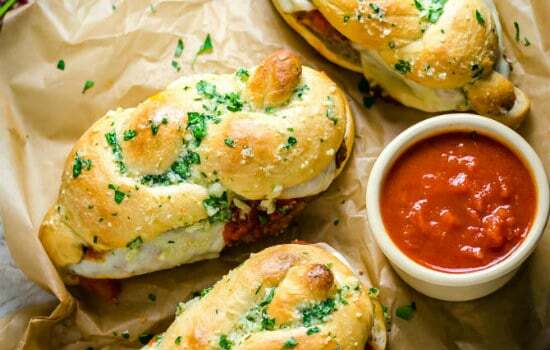 While a tasty soft roll is used to hold together all of this delicious cheesy goodness. Another great thing about these sandwiches is that they can be prepared ahead of time and then wrapped in foil to keep warm. This is going to make them an ideal sandwich for large crowds. Think turkey BLT meets grilled cheese with the addition of delicious avocado and basil. This is going to be a sandwich that is easy to make, delicious, and filling. 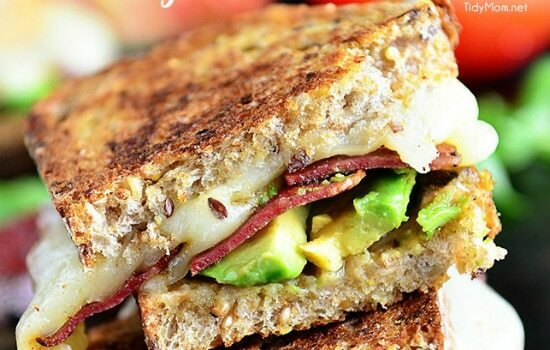 Great any time of the year, this turkey, bacon, and avocado grilled cheese sandwich is especially nice in the summer because you can enjoy a warm meal without having to heat up the oven. Whether you have holiday leftovers or enjoy the flavors of the holidays, this cranberry cream cheese turkey sandwich recipe is a recipe worth trying. Toasted bread spread with cream cheese, cranberry sauce, and red chili flakes is the perfect complement to the turkey. And, the optional additions of lettuce, mustard, and mayonnaise ensure that you have a flavorful sandwich with every bite. 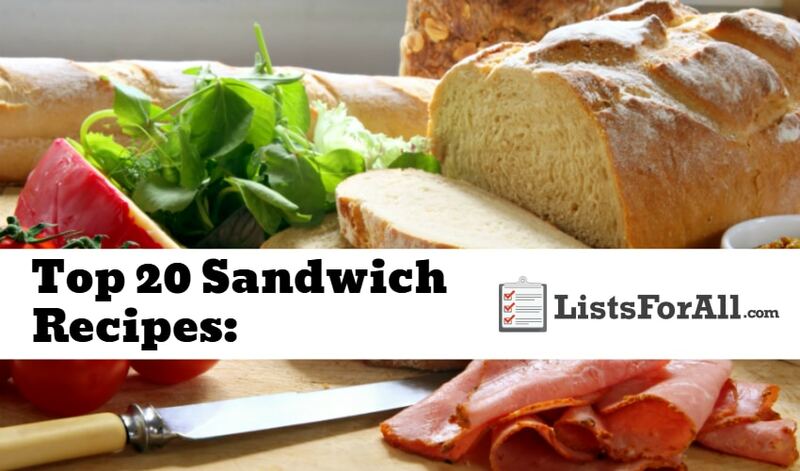 All sandwiches are not created equal, as clearly seen from the sandwiches on this list. With just a few simple ingredients you can turn a boring sandwich into a crowd favorite. Having the right combination of cheese, bread, meat, vegetables, etc. can make all the difference. Now add in seasoning, heat, and sauces, and you are talking about a whole different ball game. This list of the best sandwich recipes is going to provide you with everything that you need to make these types of sandwiches. It will also provide you with a large selection to choose from. This will allow you to be able to rotate through your favorites or try a new sandwich recipe from the list each time. Have you tried one of these sandwich recipes? We would love to hear your feedback on any of these great recipes below in the comments.